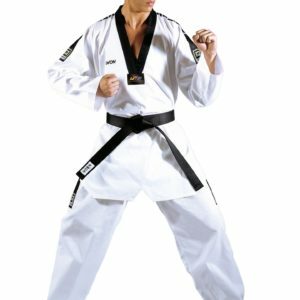 The Taekwondo suit Starfighter with large lettering is an attractive, striking demo and competition suit in a long and wide cut and made of very high quality blended fabric (55% cotton / 45% polyester) with diamond Structure manufacture. Woven KWON logos on chest, left arm and left leg. 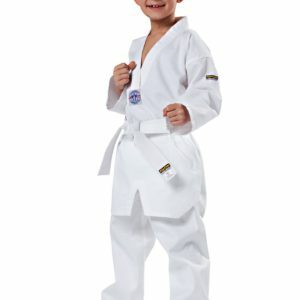 All suits of the ‘Starfighter’ series are recognizable by the black / white ‘Competition Approved’ chest logo. 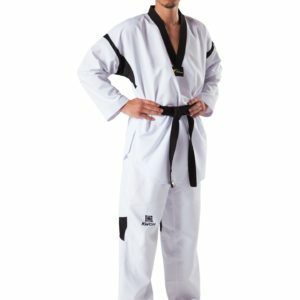 The Taekwondo suit has a big “KWON” lettering on the left jacket sleeve and left leg. 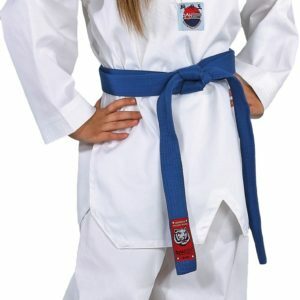 Delivery is without budo belt.